The Museum of Lace and Fashion in Calais, France, is holding an exhibition from June 15 to Dec 31, 2017, dedicated to the work of Hubert de Givenchy, the legendary fashion designer and founder of the Givenchy fashion house. Seventy outfits symbolising his inspirations, his expertise and his significant encounters recap almost six decades of fashion design. The show will see outfits from private wardrobes, the Givenchy archives and the collection of several European museums go on public display for over six months. Under the artistic direction of Hubert de Givenchy himself, the exhibition will retrace the couturier’s entire career, from his first collection in 1952 to his sumptuous wedding gowns and his key encounters. The show, which presents couture creations in sober white, grey and black display cases backed by mirrors, opens with a section dedicated to haute couture fabric samples. Essential tools in the creation of bespoke garments, the different fabrics and textiles with which Givenchy worked hold a key place in the exhibition. In fact, exceptional textiles are something of a running theme, with the show also highlighting the work of artisans the couturier worked with for decades, such as embroiderers Lesage and Vermont, and fabric manufacturers Abraham and Beuclere. Standout pieces include a blue and white striped organza sheath dress worn by the Duchess of Windsor, a famous “Bettina” cotton blouse dating from 1952, a spectacular ball gown in Chantilly lace and satin, an evening ensemble in lame brocade and embroidered with gold and silver braids, metallic leaves and beads, and a cocktail dress worn by Audrey Hepburn in Blake Edwards’ movie Breakfast At Tiffany’s. Certain encounters proved particularly influential on the work of Givenchy. From Jacqueline Kennedy and the Duchess of Windsor to the Countess de Borchgrave, the designer dressed some of society’s most stylish figures. Meeting his muse, Audrey Hepburn, proved particularly decisive, both for his career and for the actress’ style, which was built through their friendship. 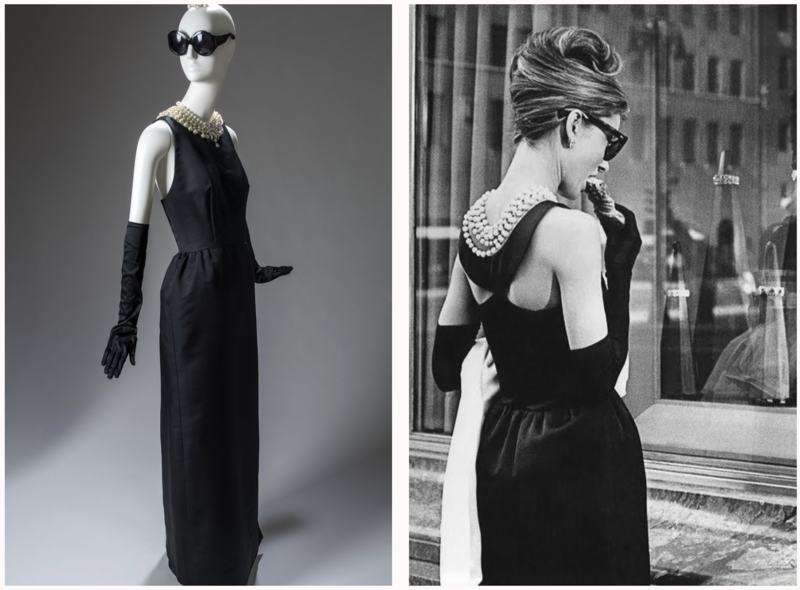 A whole section of the exhibition will explore this relationship, featuring several gowns worn by Audrey Hepburn in Breakfast At Tiffany’s and How To Steal A Million, as well as clips from her movies. In addition, the exhibition highlights the designer’s artistic inspirations and explores Givenchy fragrances, while also showcasing exceptional eveningwear creations and imposing wedding gowns made from lace and tulle.